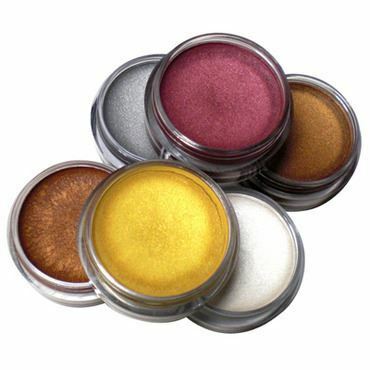 Iridescent pigments in a silky texture make Fireworks the perfect companion to Lumiere Cremes. Apply directly on skin or over powdered makeup. Wt. .3 oz. / 8.4 gm. (Silver Satin also available in 1 oz. / 28 gm). 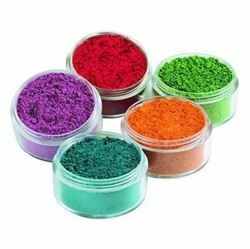 Extreme color power and enticing shimmer, Pressed pigment-rich Grande Colors apply dry for a softer finish, or with water for enhanced opacity. Seal with Final Seal or LiquiSet for durability. 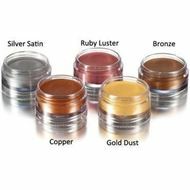 Dust Luxe Powder over bare skin or apply over finished makeup for striking luminescence. 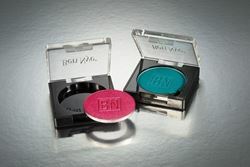 For total “liquid color” coverage, blend with LiquiSet or Final Seal for smudge-proof durability on face or body. 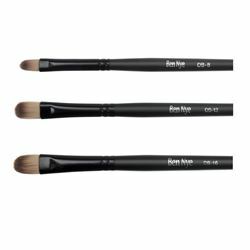 Subtle, delicate brush excellent for creme concealer or eye shadow. Rounded corners allow for softened edges during application. Taklon.